If you liked this show, you should follow FantasyLama. The Gut - Former player offering an intuitive perspective about the head-to-head matchups and schematic mismatches. The Geek - Former player turned analytics professional, offering a scientific twist to the matchups based on Schemes, Trends and Relevant Stats. The LamaAlgorithm(TM) - An artificially intelligent, mathematical program that ranks all players at each position based on advanced statistical analysis and reactionary protocols for each NFL team based on matchups and the intangibles that create fantasy scoring. Each week we have a guest commentator call in and offer a fan's perspective and some comedic relief. Disclaimer: The content of this podcast is provided for informational purposes only and listeners utilizing the information for any reason other than that are doing so at their own risk and discretion. 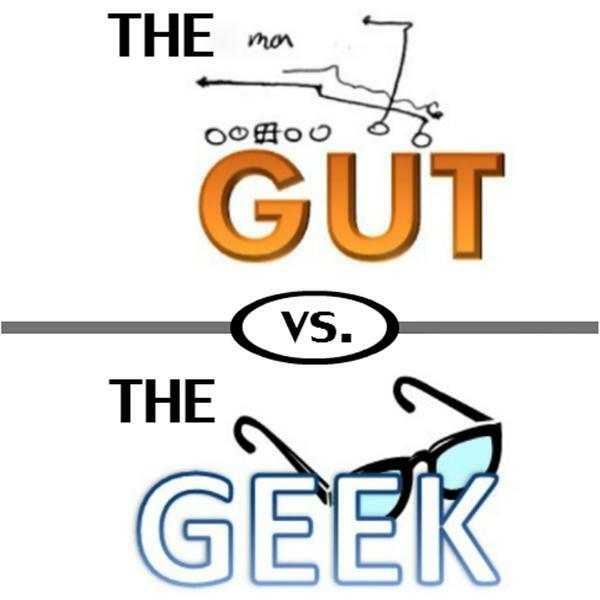 FantasyTech, LLC, FantasyLama.com and the cast and crew of The Gut vs. The Geek (collectively "The Creators"), nor its sponsors or the guests of the show, are to be held liable in any way at any time, past or henceforth. The views and the opinions expressed by The Creators are those of his or her own as of the date of this recording.